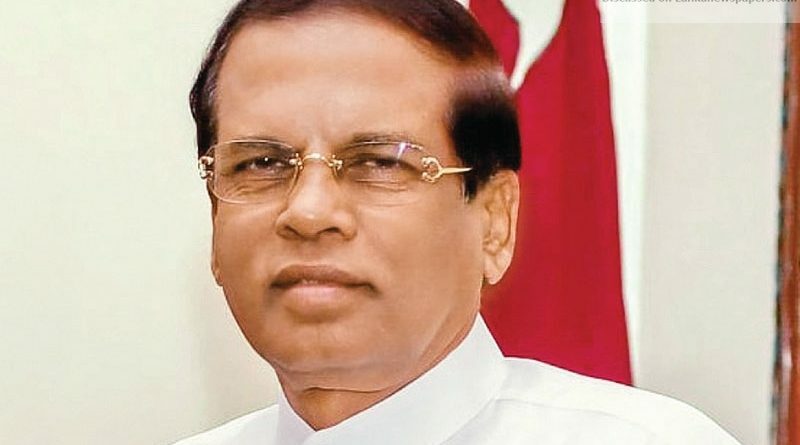 President Maithripala Sirisena said that the common enemies of the progress of national revival were poverty and corruption. “We must be resolved to eradicate these evils completely,” the President said in his Independence Day message. “Sri Lanka, which had been under the British rule for 133 years, gained independence on the 4th of February 1948. Each year, this day is celebrated with glory. Our prime objective should be to collectively commit ourselves to archive the true meaning of the freedom we obtained, with a new vision and renewed vigour. “Having gained independence from imperialist rulers, as a nation, we expected a political, socio-economic and cultural forward march, with a unique national identity free of colonial shackles. To entrust the future of the nation to minds enslaved by imperialism for more than a century, is more dangerous than being under colonial rule itself. “Hence, for future progress, we need people with spirits invigorated by national customs, values and culture. We could accomplish colossal tasks, similar to those gigantic achievements of other great civilizations of the world in the past, by being independent. “We are a people who established our own national identity from the beginning. Therefore, on this auspicious occasion, I would like to emphasise that the time has come to build the economy of our country on the foundation of agriculture. “The common enemies of the progress of national revival are poverty and corruption. We must resolve to eradicate these evils completely. “All those patriots who sacrificed their lives for the sake of independence of the nation, since the colonial era, are commemorated on this occasion, with honour and dignity. All the servicemen and women dedicated to safeguard the freedom and independence of the nation today, are also remembered with gratitude. “It is my wish, on this important occasion, that all political parties, together with all of us, will be able to march forward with courage and peace towards accomplishing the ultimate goals of independence,” he said. ← High cash deposit is the deterrent!